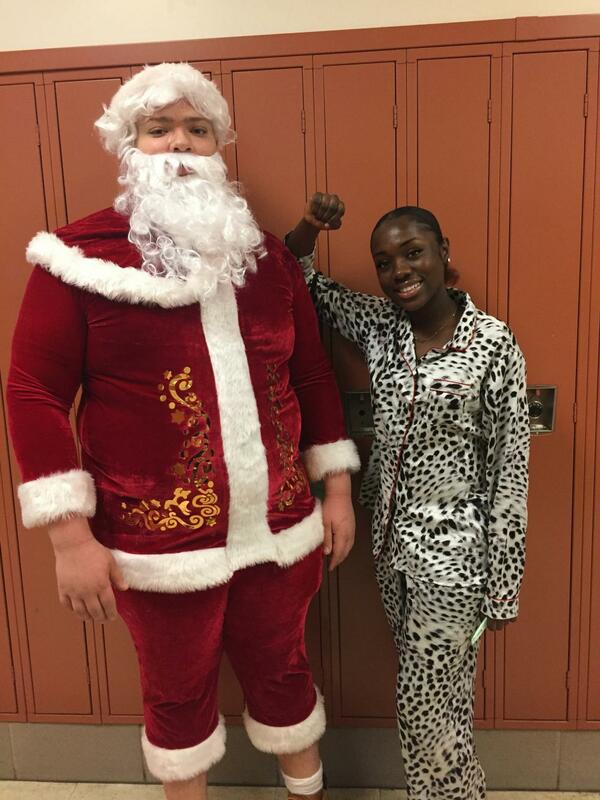 Senior Janice Asabere takes her first ever picture with Santa. Having a broken home doesn’t hit you until this time of the year. The holidays are family-oriented. Only seeing half of that can be depressing. My parents got divorced when I was in the second grade. I was seven years old. After that, the whole dynamic of my family changed. I was continuously confused throughout my whole childhood. Watching close-knit families on TV and movies celebrating Christmas wasn’t ideal for me. I didn’t understand why I couldn’t have that. I never thought Santa was real. The closest thing I had to Christmas traditions was watching reruns on ABC Family, aka “Freeform.” I would watch iconic movies like The Grinch, This Christmas, and my absolute favorite, Eloise at Christmastime. I thought she was the embodiment of Christmas. As I get older now, I have learned how to cope with the holidays. After my ninth grade year, I completely stopped caring. I’ll wish people a Merry Christmas, but I have no desire to go out of my way and give gifts. It’s not that deep to me. It’s just another day. Sometimes I wonder how different it would be with both parents in my household during the holidays. Maybe my dad would have made my holidays a little warmer. It’s sad that I’ll never know. I’m for sure not going to present this type of lifestyle to my children. They will have everything, and I mean EVERYTHING. I’m going to have my whole entire house decorated, there’s going to be presents everywhere. My children should never feel sad during one of the happiest days of the year. I won’t allow it.